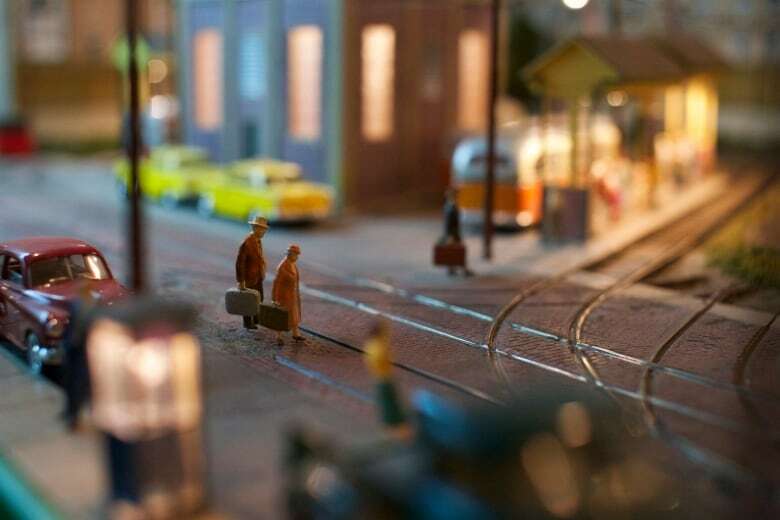 For more than two decades, Hilda Walsh's husband built a model of the 1950s Boston streetcar system in the basement of their Toronto home. It's the focus of a new documentary called "Tiny Tracks." 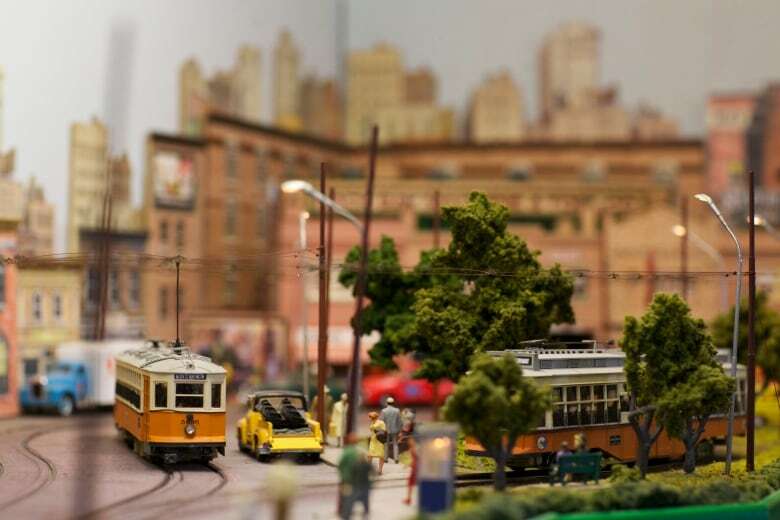 For more than two decades, Hilda Walsh's husband, Ivor, built a model of the 1950s Boston streetcar system in the basement of their Toronto home. Walsh's story is part of a new documentary called Tiny Tracks. It premieres at the Hot Docs film festival in Toronto May 3. There are tiny people. Tiny cars. Tiny billboards. And tiny storefronts. All created with exquisite attention to detail. But most impressive is the working streetcar track, that runs around the entire perimeter of Walsh's basement. Ivor died in 2002, so when Walsh sells her home, she'll have to make a tough decision. Much of the structure her husband built is attached to the walls of her basement, which means she'll have to leave some of her husband's work behind. 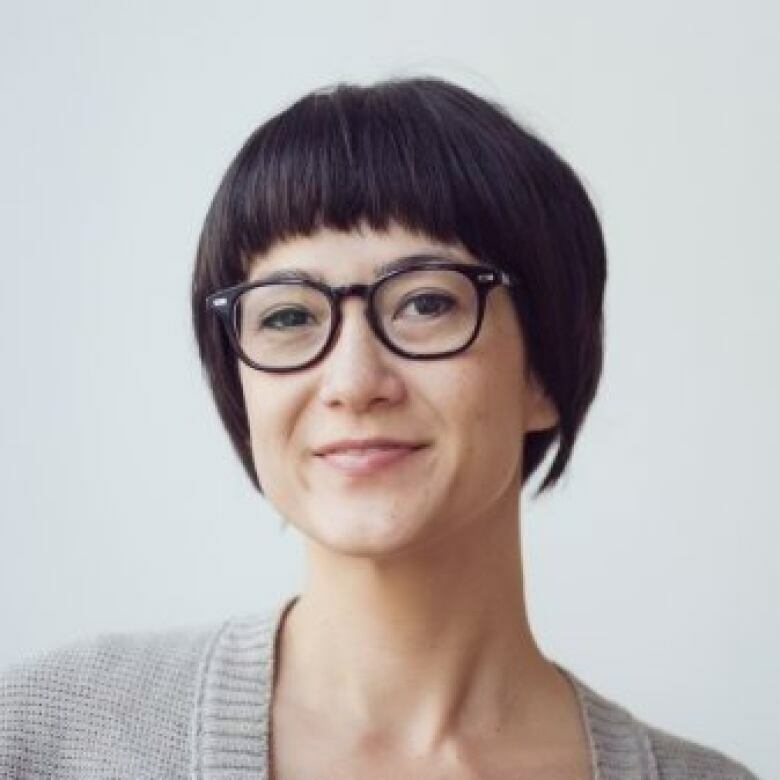 Naomi Hocura is the film's director. She and Walsh joined As it Happens host Carol Off for a feature interview in the studio. Hilda and Ivor Walsh first met in the 1970s. Within two weeks of meeting, Walsh learned about her future husband's obsession with streetcars. "He mentioned something about streetcars and I happened to mention that my father died on the streetcar. And, that's how we started it up," says Walsh. For two decades, Ivor and his friends would work on the model in the basement of his Toronto home. "He used to go down every morning to do it. And, every Wednesday night the fellas would come over, and every Sunday," remembers Walsh. "Our door was never locked. Always open to people. They just came in and went to the basement." 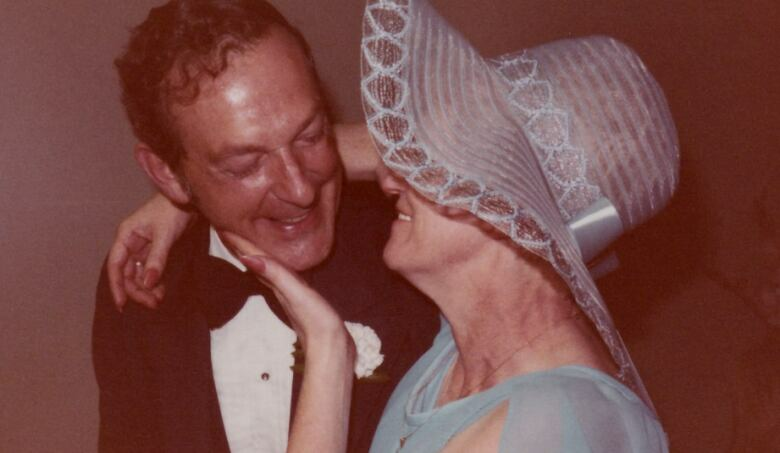 Walsh remembers a conversation that she had with her husband a year before he died. "We just got talking. I said, 'What am I going to do with this Ivor?' … He said, 'You're going to destroy it. It's not your hobby,'" says Walsh. "After he passed away, I was going to destroy it. But, when I went back down to the basement, I said, 'There's just no way.'" Despite this, Walsh may have to see her husband's work taken apart in the future. Parts of the structure are attached to the wall of their home — making it impossible to move most of the structure when Walsh decides to sell her house. "I don't want to be around when it goes. I'd rather go first. That's awful. But, that would break my heart," says Walsh. Tiny Trackspremieres at Toronto's Hot Docs film festival on May 3. Hocura, the director, hopes viewers "take away a bit of the magic" when they watch the film. "Maybe a bit of wonder. Or, inspiration to pursue something that they're really passionate about like Ivor did. And, maybe to be curious about what's in their neighbours basement … if there's some hidden treasure."